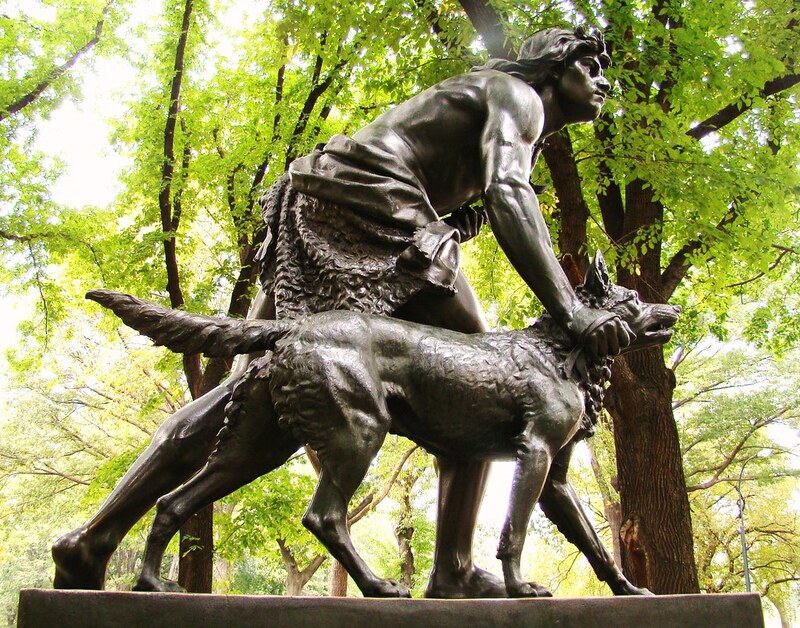 Where did aboriginal North American dogs come from? Savolainen and his colleagues have traced the American dogs’ ancestry back to East Asian and Siberian dogs, and also found direct relations between ancient American dogs and modern breeds. For an article on the American “primitive” Carolina Dog, see http://www.nytimes.com/2013/07/16/science/a-dog-that-goes-way-back.html?pagewanted=all. Cummins, B.D., 2002, First Nations, First Dogs: Canadian Aboriginal Ethnocynology, Calgary, Canada: Destilig Enterprises. Marion Schwartz, 1997, A History of Dogs in the Early Americas, New Haven, CT: Yale University Press. This entry was posted in Canine History, Canine Science. Bookmark the permalink.